The compelling need in a country like ours, women are generally to look after the home and bear children. Without any income of their own, they need to depend on men for anything and everything. If the men are also unemployed, the matter gets worse. In view of the financial constraints that a family faces, this skill-building program strives to empower the women, and community at large. It was observed, if some kind of skill is imparted to the women, it would give them more avenues to earn their living. The women and girls of the locality are mostly involved in household chores. Looking to the surroundings of their homes in the slums, it is difficult for women and girls to step out of their houses which lead to lower educational status, low confidence to face the world and have to bear the brunt of most of the evils like ill treatment, domestic violence etc. This project is aimed to empower all such women and girls. The project area is characterized with a typical urban slum setting of Motera, Sabarmati with most of the men and women folk involved in daily wages work or are unemployed. 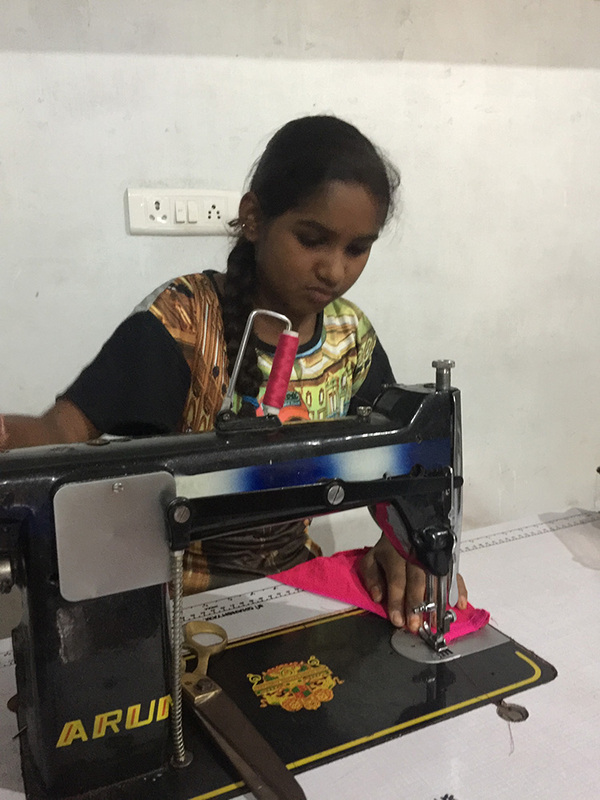 Humankind has set up its first vocational skill center ‘Saksham’ a Sewing Training Centre to make women self-sufficient and confident. 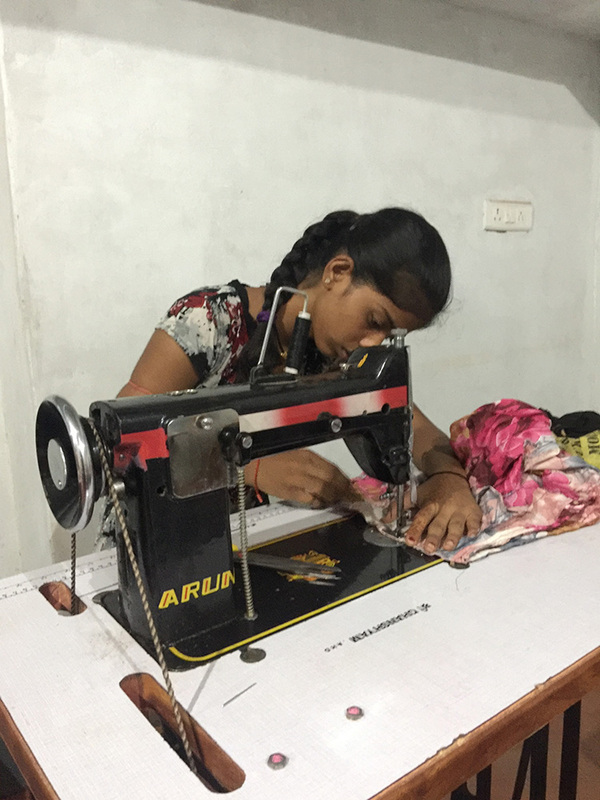 Basic tailoring skills enable women to work from home, they can continue in their traditional role as homemaker and yet earn. 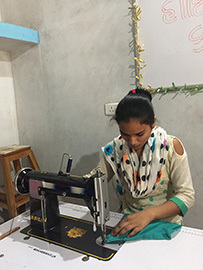 Tailoring is something which women can immediately start right from their homes upon completion of their course. 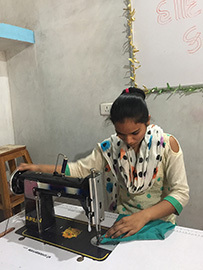 Interested women are trained for tailoring and designing skills. 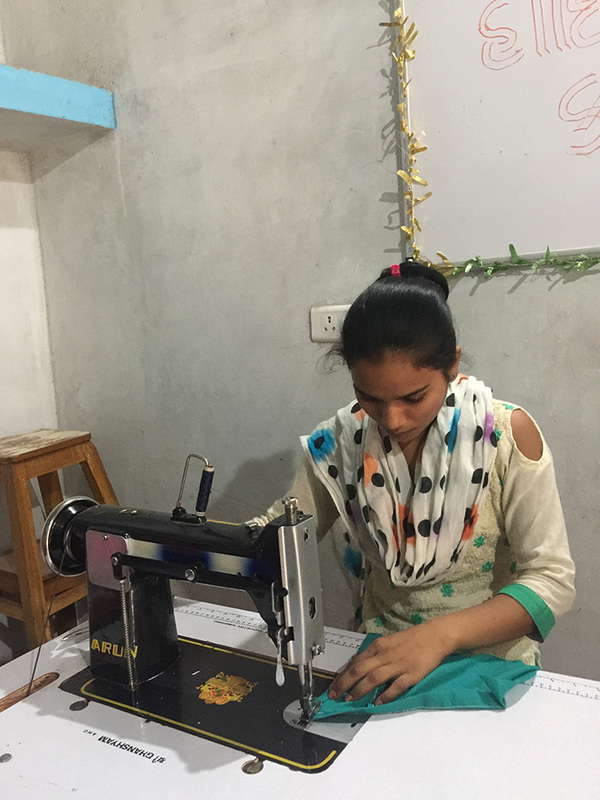 The course duration is 3 - 6 months for basic cutting & sewing, next the participants can progress to the next level which is training in detailed art & creativity. 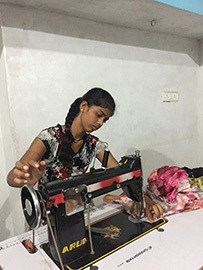 You may donate for Sewing machine cost, Training cost or both. To encourage women empowerment, we assist them in establishing the unit, purchase of raw material and sale of finished products. We tie up with garment factories and get them job work. As a result they earn Rs.150-Rs.200 per day. We request you to Sponsor sewing machine training and the machine for the trained women and girls.